Google Tag Manager (GTM) is an amazing tool. It has saved me, my colleagues and my clients so much time that I can’t even imagine how I could live now without it. Need to add a particular tracking pixel to a website? Not a problem! Want to track submissions of a newly created form? Done. All thanks to a GTM. But where should you start? GTM looks like a tank which requires some very specific knowledge and your regular driver’s license won’t help much here. That’s where the E-book “Google Tag Manager for Beginners” comes in handy, your very first step towards new knowledge and becoming more independent + having more control over your analytics/marketing tracking codes. As a non-developer, I have a full control of my Google Analytics tracking codes, Facebook Pixel, Google Ads conversion tags, etc. You can do it too! Thanks to Google Tag Manager. This e-book will help you take the first step towards more effective marketing and web analytics. Just enter your email address below and download a free copy. Why Should You Start Using Google Tag Manager? How to Properly Install Google Tag Manager? Which Gtm Topics Should You Learn Next? What Other Things Can You Do With Google Tag Manager? Get this E-book to your inbox. Important: if you’re already an existing subscriber, open any of the previous Analytics Mania newsletters and you’ll find the direct-to-download link. Start learning, upgrade your skills and become a pro! 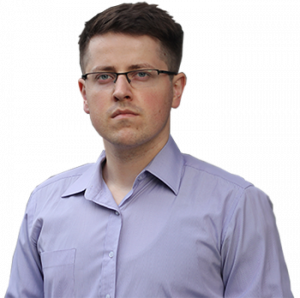 My name is Julius Fedorovicius and I run Analytics Mania. Since 2016, the blog has grown to over 50000 monthly visitors and has been already mentioned on moz.com, neilpatel.com, simoahava.com, measureschool.com, and many other high-profile websites. 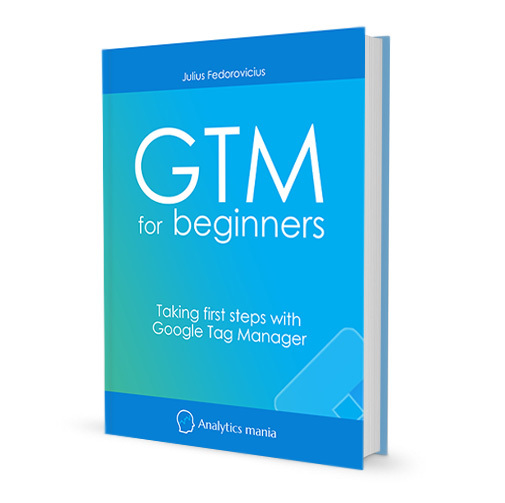 I also run the Google Tag Manager community on Facebook, host GTM training workshops, and have launched online GTM courses.